Will Denham is a Houston-based litigator specializing in civil litigation, criminal defense, trademark litigation, employment litigation, and copyright-related issues. 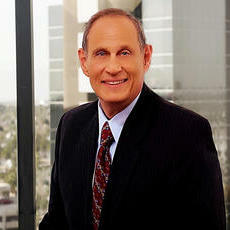 Before starting his own firm, he worked at Baker Botts, LLP. Licensed in several states and federal courts, he is a highly rated attorney who has been recognized with multiple awards. Will holds a J.D., with honors from the University of Texas Law School. "Mr. Denham recently helped me with a trademark infringement issue. Throughout the entire process he was easy to work with and very thoro..."
"Excellent & very professional work! They are in constant communication with you during the work and give the upmost attention to your nee..."
Tim Sutherland is both an attorney at law and a business owner. He specializes in assisting startup companies and entrepreneurs found their businesses successfully. Tim is also experienced in drafting and negotiating commercial contracts. He has been licensed to practice law in Texas for the past six years and received his degree in law from the University of Houston Law Center. In August 2014, Tim founded his own legal firm, Sutherland, Attorney & Counselor. "I had an issue with my previous employer who refuse to give me my last check. I contacted Ms. McClain and she went to work immediately to..."
Tiffany worked for Eagle Land Services, Inc before joining the Pratt Aycock team as a practicing lawyer. Her areas include business law, real estate law, dispute resolution, immigration law and oil and gas. She received a JD from Texas A&M School of Law. In addition to her law degree, she also attended Southern Methodist University where she graduated with a Masters in Dispute Resolution. Volunteer service is a priority for her as she is part of the Junior League of Dallas. Why use UpCounsel to hire a Sugar Land Employment Attorney? Our experienced Sugar Land employment attorneys & lawyers can help guide you on how to proceed with various employee decisions such as reviewing employee documents such as contracts, agreements, policies, and handbooks, along with difficult decisions such as firing, lawsuits, claims, and complaints. A confidentiality agreement and a non-compete agreement are common forms of employee contracts that one of our Sugar Land employment attorneys can help customize for your business. If your business needs to fire an employee, proper measures should be taken from a business legal standpoint to ensure proper communication and a smooth transition of dismissing that employee. In any case, we suggest you connect with our employment attorneys to discuss your options. Improve Your Legal ROI with Affordable Employment Attorneys that service Sugar Land, TX. Want to Connect with Top Sugar Land Employment Attorneys & Lawyers?